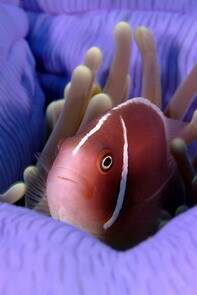 Coral reefs are the richest in species of all marine ecosystems. They can be considered the marine equivalent of terrestrial tropical rainforests in terms of internal variation and importance. Hundreds of different species of algae and fish can be found, and a many thousand species of invertebrates. The productivity of a healthy reef is high and comparable to a high-yielding agricultural system. 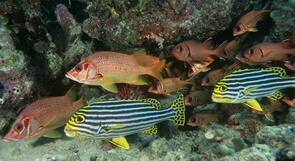 A significant part of the fauna in tropical seas can be found concentrated in, on and around reefs. 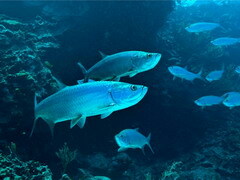 The high primary production in these areas provides a lot of food for these animals compared to the oligotrophic (low in nutrients) waters of the open tropical seas. Coral reefs cover less than 0.25% of the ocean’s floor, yet 25% of all fish species are dependent on them. 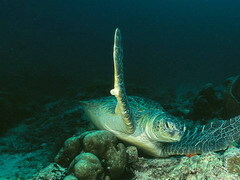 Reefs are often called the nurseries of the ocean.